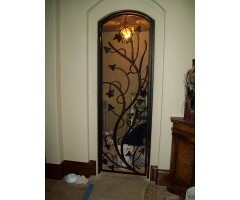 Single full size wine door featuring grape clusters surrounded by scrolls and bar with stratigically placed collars to create visual symmetry. .. 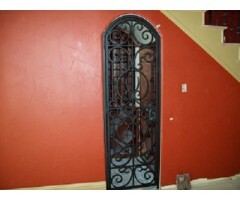 This gate was built to fit, with tasteful design to endorse what was behind it. .. 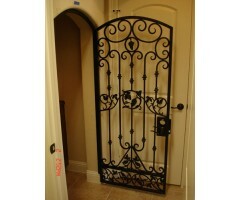 This double wine gate is a classic display of the perfect combination - showing respect for quality. 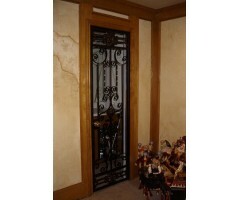 ..
A balance of twisted bar with scrolls created a great combination with this wine gate. .. 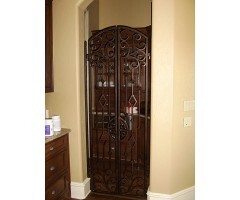 This single arched refrigerated wine gate was designed with long sweeping scrolls into a pleasing arrangement. .. 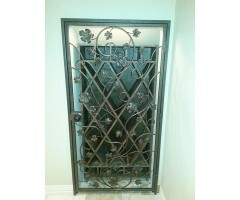 This stunning refrigerated iron door preserved the true wine cellar theme, using grapevine bar and leaves woven through lattace simulating a wine rack. .. 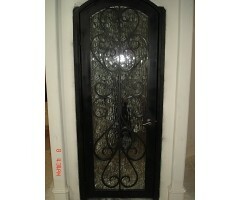 This classic design is a sure winner for all architectural styles. ..
Take a walk into the vineyard with this custom wine gate, featuring twisted grapevine tendrils and leaves with clusters of grapes. .. 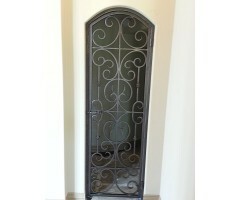 This wine gate is a beautiful design that compliments any palate. ..
A proportional design on this double interior wine gate creates an alluring draw not only of the eye, but to a glass of tranquillity. .. Creating a fluid portly grapevine with leaves and grape clusters as the theme of this wine gate, it captures the essence of maturity and grace. 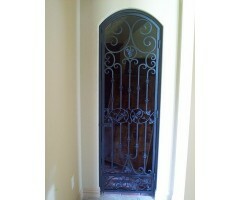 ..
Classic vinyard components are used on this beautiful wine gate. ..